You may notice a bit of haze splash down into your otherwise bright glass of beer as you tip the last few ounces out of the bottle of a Proper Brewing beer. This haze is nothing to fear, and in this humble brewer’s opinion it is an indication that the beer you’re enjoying is packing the full spectrum of flavors we the brewers intended to convey. 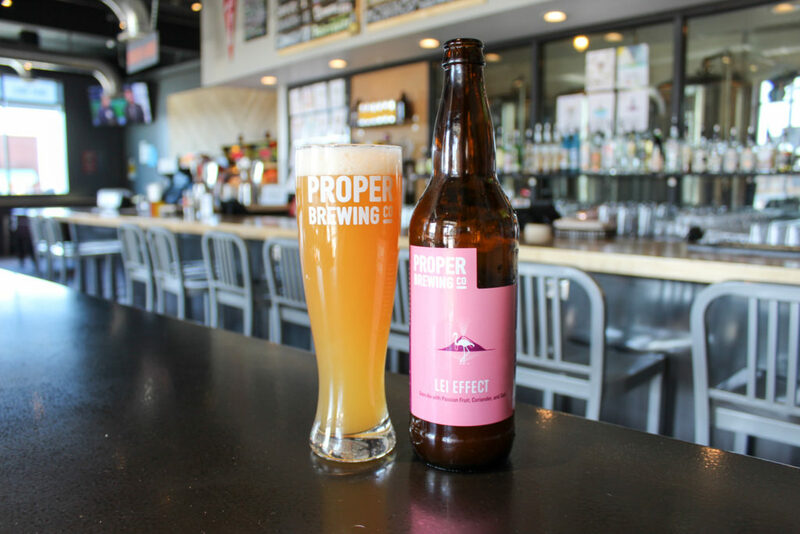 Unlike many breweries, Proper Brewing does not to filter any of our beers. Filtration produces a bright (meaning clear) beer, from the first pour to the last, but there is a degradation of flavor—slight, but noticeable. Some drinkers may prefer their beers bright enough to read through, and may even prefer the mellowed flavor of a filtered beer, and there ain’t nothing wrong with that. Above all else, drink what you like. 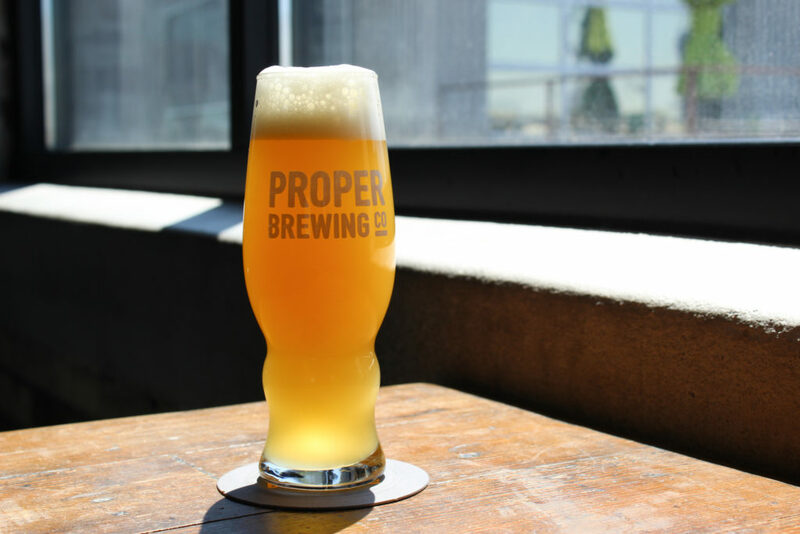 At Proper Brewing, we made the conscious decision to not filter our beers because we prefer the full flavor of an unfiltered beer, whether it be our flagship Proper Beer English-Style Golden Ale or Kyle Beckerman’s namesake American Lager. IPAs in particular take a big flavor hit when passed through a filter. What was once a bold brigade of rich hoppy goodness can be trimmed down by the filtration process, leaving but a ghost of its former resinous glory. Now that’s not to say we don’t want to make our beer as bright as we can, and we have developed our own methods for doing so—methods that achieve a beautiful pint without sacrificing flavor. Taking the time necessary to produce the beer exactly we think it should be is one thing that makes Proper Brewing worth your time. Extended maturation times are necessary to allow the beer to brighten on its own. We also use a fining agent called BioFine to encourage the settling process. BioFine is a vegan-friendly, synthetic silica that binds to particles in beer which, thus heavier, drops the particles out of solution. Not all beers are meant to be bright, and we therefore don’t always use fining agents. Our Lake Effect Gose is an excellent example of a beer that is meant to have a healthy amount of haze. Gose is a beer brewed with a significant amount of wheat, which contains higher amounts of haze-forming proteins, so one can expect a hazy beer in their glass. 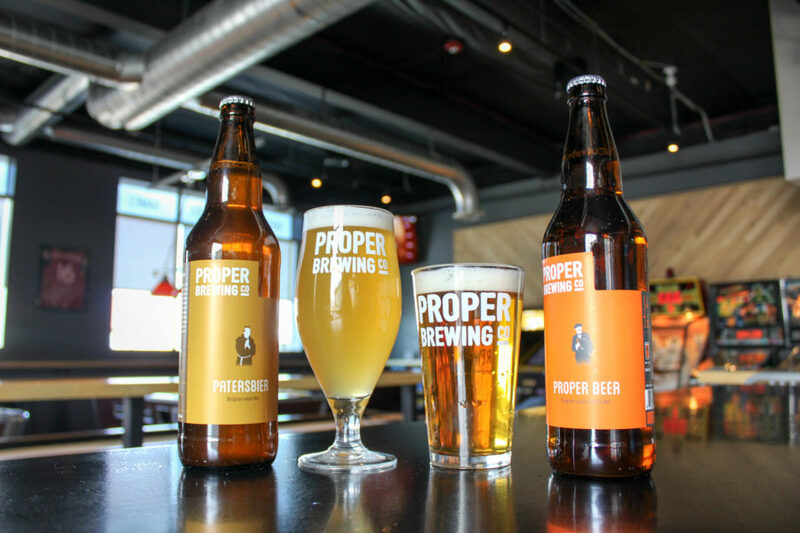 Beers with purpose are what we aim to produce at Proper Brewing Company. Take care knowing that each glass you enjoy has been handcrafted to be exactly what it is, no more and no less, full of flavor, history, and passion. Proper Brewing, unfiltered for your pleasure.